"A Clean Chimney is a Safe Chimney"
Here at Shane’s Chimney Care we strive to help you enjoy an evening in front of the fire with your family. 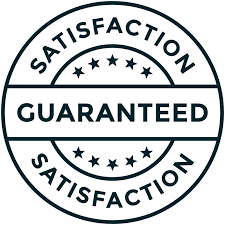 We understand that sometimes things don’t go the way they should, it is our utmost desire that each customer is satisfied with the services we provide. We would appreciate your feedback on how we did, and if for any reason you are unsatisfied please contact us so we can make it right. If for some reason you need to cancel or reschedule your appointment with us we ask for 24 hours notice. We understand that things come up and want to be flexible and work with you in any way we can. If we arrive at your residence and no one is there, we have a $50 no show fee. Communication is key in resolving schedule issues. On large repairs($1,000 or more) we require a 25% deposit. This deposit puts you on the schedule and gets the materials ordered for the job. We also offer payment installments that correspond to the work being done, it is our desire to help you get your chimney to peak performance and safety. We understand that financially the process may need to be spread out. Please contact us to set up this type of arrangement. Copyright 2019 Shane's Chimney Care.